With executions stalled by court battles over California’s death penalty, the state is running out of room for death row inmates. Governor Jerry Brown is asking for $3.2 million to adapt 100 more cells at the state prison for men. 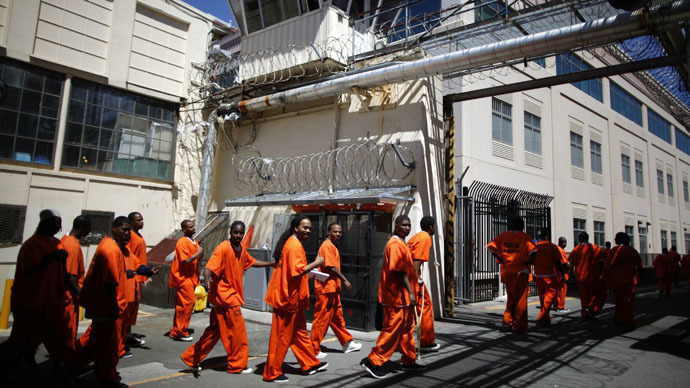 The requested funds would be used to refurbish cells made available as the state releases low-level offenders under a new law approved by the voters last year, reports the Los Angeles Times. State corrections department spokesman Terry Thornton told the paper the plan was a “cost-effective proposal” to “safely house condemned inmates going forward,” until the courts can rule on the future of California’s death penalty. Last July, US District Judge Cormac J. Carney ruled that lengthy delays and uncertainty in California’s application of the death penalty constitute “cruel and unusual punishment,” which is prohibited by the Constitution. He noted that the state had sentenced to death more than 900 people since 1978, but executed only 13. According to Natasha Minsker, director of the American Civil Liberties Union (ACLU) of Northern California, it was “the first time any judge has ruled systemic delay creates an arbitrary system that serves no legitimate purpose and is therefore unconstitutional,” the LA Times reported. Executions were halted in 2006, after state and federal courts banned the three-drug cocktail used for lethal injections. Brown had asked an advisory board to come up with a single-drug method in 2012, but so far there have been no proposals, and the state lacks a court-approved method of execution. Forty-nine inmates have died on death row between 2006 and today, some of them from cancer, drug overdose or suicide. There are 731 men and 20 women awaiting execution in California presently, the largest population of the condemned in the US. Florida ranks second, with over 400. The women are housed at a separate facility, but the men’s prison at San Quentin is almost at maximum capacity with 708 inmates. Another 23 condemned men are housed elsewhere, under special circumstances. A budget subcommittee led by a vocal opponent of the death penalty is scheduled to review Gov. Brown’s proposal in April. In a written statement to the LA Times, state Senator Loni Hancock (D-Berkeley) said the legislators may not have a choice but to approve the funding. The proposal is part of California’s $113-billion budget.